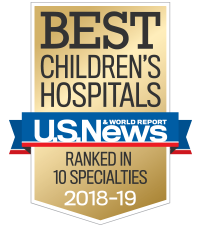 Children’s offers expertise in pediatric neurology and neurosurgery for your young patients with complex conditions and disorders. To make a referral to a neurologist in the Children’s Pediatric Neurology Practice, or to make a referral to our neuropsychology and neurosurgery programs, complete our online referral form. Fill it out completely and legibly, and fax to Scottish Rite or Forsyth (404-785-2204) or Egleston (404-785-1795). You will receive a return fax with the first available date and time. If a precertification/authorization is required, it is your office’s responsibility to obtain it and fax to our office two weeks before the appointment. If a precertification/authoritization has not been obtained, the appointment will be cancelled. Patients age 13 months and over must be at least four hours sleep-deprived. The patient should sleep no more than four hours the night before the study, as we need to obtain natural sleep brain wave patterns. We do not sedate patients for the study. The study will last around an hour to an hour and a half. Patients must have clean hair; no oils, gels, sprays or lotions. Patient must refrain from refined/processed sugars or caffeine for 24 hours before the study. Natural sugars are acceptable. Patients must arrive 30 minutes before their appointment to register in the Patient Registration Department on the first floor. If the patient is 15 or more minutes late, then the appointment may be cancelled. Cerebral Palsy patient treatment and management requires a multidisciplinary approach including neurology, neurosurgery, orthopaedics, physiatry, and hand and upper extremity. The Cerebral Palsy Clinical Screening Tool is a check list and screening tool developed for community physicians who see patients that have already been diagnosed with Cerebral Palsy or who are showing signs of Cerebral Palsy. When accompanied by a referral, this tool provides a pathway for Children’s Healthcare of Atlanta schedulers to get Cerebral Palsy patients to the appropriate Children’s specialist for care. Join us for a specialized symposium that will educate healthcare professional about new SEEG technology and procedures.